In November, 2011, I finished Bluewater Killer, the first book in the Bluewater Thriller series. 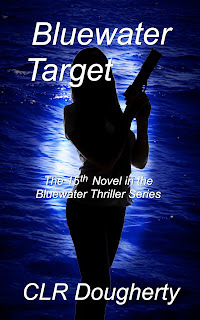 In March, 2014, I released Bluewater Stalker, the sixth book in the series. In a bit over 2 years, I've written close to a half-million words about Dani and Liz and their friends. I'm thankful that I've gotten enough positive reaction from readers to keep me writing. Of course, that's what I hoped for when I started the series, but I've discovered something I didn't expect. With each book, the characters have become more real to me. I've watched them evolve and grow from their experiences, and they've become my friends. I often wake up at night having conversations with them, and not with just the main characters. As I struggled with the plot in Bluewater Stalker over the last few weeks, Connie Barrera started pestering me. Remember her? She had a major part in Deception in Savannah, my first novel. At the end of it, she ran away to the Bahamas. After Dani and Liz got their charter business going, Connie happened upon a windfall while beach-combing in the Bahamas. 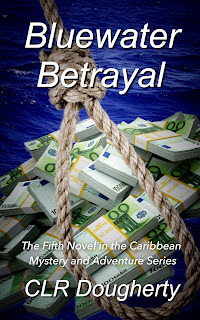 Needing to slip out of the country, she chartered Vengeance. She didn't know that she brought a bit of trouble from her past aboard with her. Dani and Liz, being no strangers to a little difficulty, decided to help her out. 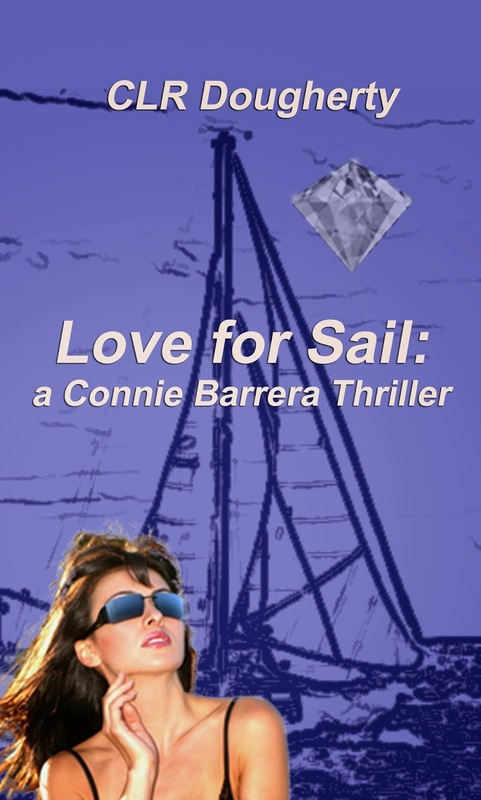 In the process, the three young women became fast friends, and Connie got hooked on yachting. 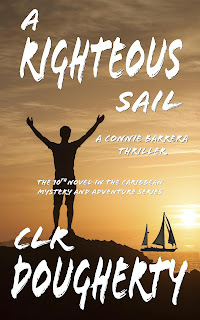 While Dani and Liz were chasing around the islands with the Fitzgeralds in Bluewater Stalker, Connie bought a 56-foot sailboat. She had so much fun on Vengeance that she decided to go into the charter business. 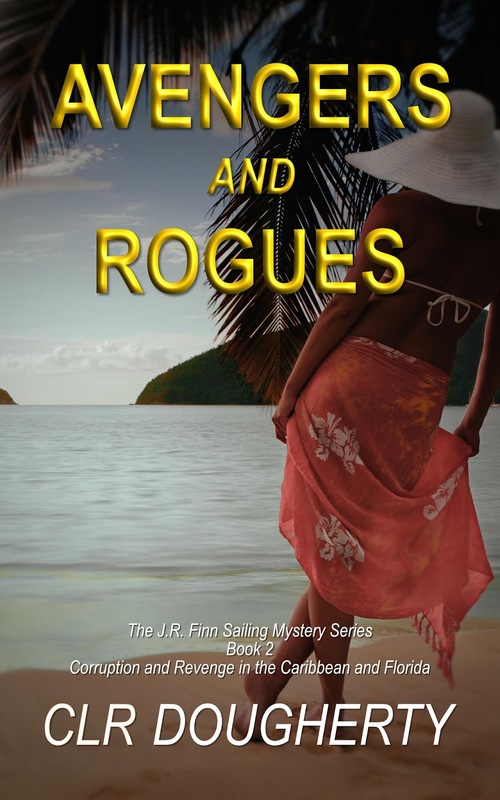 Paul Russo agreed to join her as the cook and first mate until she gets the business going. Remember him? 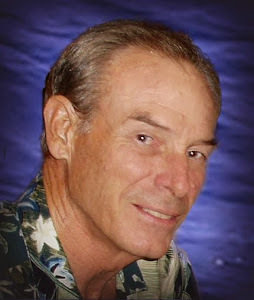 Paul's the retired detective from the Miami Police Department who's a friend of Dani's godfather. Connie's demanding attention from me now, insisting that she has a good story to tell. She's convinced me to spend the next couple of months with her as she sorts out her feelings about men and sailboats. She thinks Dani and Liz will agree to let her have the next book. 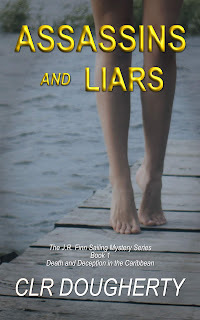 She's a self-assured woman, and she's confident she can support her own series, distinct from the Bluewater Thrillers. Her idea is that she's more of a romantic than Dani and Liz. 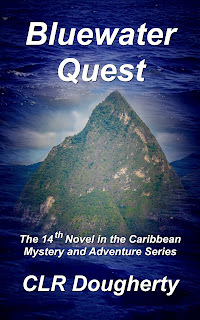 She believes that she would bring a different perspective on Caribbean sailing adventures. 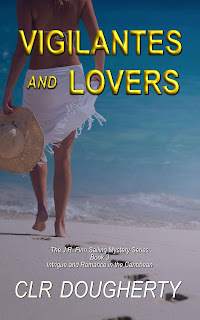 She's envisioning stories that will appeal to the same readers as the Bluewater Thrillers, but which will also interest readers of romantic thrillers. I'm not sure about this, but I've agreed to spend some time with her and see how it goes. She's willing to give Dani and Liz and their friends parts to play, but she's determined to have her own story. If her first book turns out as she expects, it could be a great ride. I'll keep you posted. 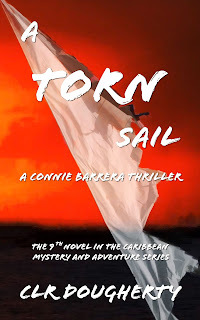 By the time you're ready for a follow-on to Bluewater Stalker, Connie will be ready to take you sailing. And don't worry, there will also be a seventh Bluewater Thriller later this year. Thanks for your support. All of us appreciate it more than you can know. I love that you're bringing back characters from your first novel! It really is amazing how our characters become such a huge part of our lives. They are truly like the best friend you haven't seen in a while. When you get together you start up where you left off. Good luck with it! I'm sure it will be awesome. I love that Connie made an appearance! This is awesome. I am not the only one who hears voices in the night from my over-active imagination! (and from my alter ego and all of her friends… lol). These books sound fun! Will have to check them out! Sounds like it's going to be a great book! Connie was quite a character, she will have a fun story for sure.